I have a dilemma when I write these blogs. There are so many topics to write about. It’s hard to choose and as I go about my day I begin writing blogs in my head. About husbands and meeting them for business lunches, about scheduling in structured times with kids, about the artist in all of us (yes even those who can’t draw) etc. etc. etc. It’s so hard to focus. But focus I will, and the biggest lesson of all I’m learning is it’s okay not to be perfect. So it’s okay if these blogs aren’t perfect. It’s okay if I’m not loving being with my kids 24 hours a day and want to go out for a coffee, it’s okay that my skin breaks out a bit and it’s okay that sometimes I feel things aren’t okay. It takes a lot of pressure off doesn’t it. A sigh of relief. For after all what is perfect? Is perfection what we see in magazines? Is it on TV? Is it in the books we read? Does it exist in large corporates? Hollywood perhaps? I hope you’re shaking your head, because I certainly am. Perfection of what should be is a fantasy. Look at your child – especially when sleeping – and that is perfection. Now I dare you to look in the mirror with all your stretch marks and all. (Those of you lucky enough not to have stretch marks please rejoice again at your blessing. I do consider mine silver medals of birth.) Look at yourself. Look and look and look. And yes I’m talking about doing it without clothes on. Look and look and look. Are you thinking, ‘I’m not a size 8 or 10’ or measuring the flab, the sagging, the out of proportion tummy flab? It’s natural especially because are minds are looking back at models that we see in mags and TV. We see them as beautiful, perfect. But us? Look again, and see perfection. Look again and see limbs that walk, feet that can run after your toddler. Lovely breasts and arms that enfold your babies, hug your child. The beauty is more than within, the beauty is. The perfection is. Just in being we are all perfect. Okay stop shaking your heads at my airy fairyness. It’s not airy fairy it’s true and I’m learning it myself. As soon as that critical voice comes in. That nasty critical voice that says I’m not good enough, am too fat, too flabby, too spotty…I now retort back with my nurturing voice (whoever has not looked into transactional analysis should – it’s very powerful) ‘I’m made in the image of God’ and as I smile it’s true. And the more I say it the truer it feels. Because we are not talking about something intellectual here, we’re talking about the way we see ourselves in every cell of our body. And there is perfection there. As we see it in our children so are we. And it follows that in our being and doing. In our striving we are perfect. So yes I don’t spend every minute with my kids, but when I do I’m trying to breathe, be my whole self there, and in that lies a perfect moment. And just to add the scary thing about striving for fantastical ‘perfection’ is that because it’s virtually impossible we simply shrug our shoulders and give up. But that really is another blog. 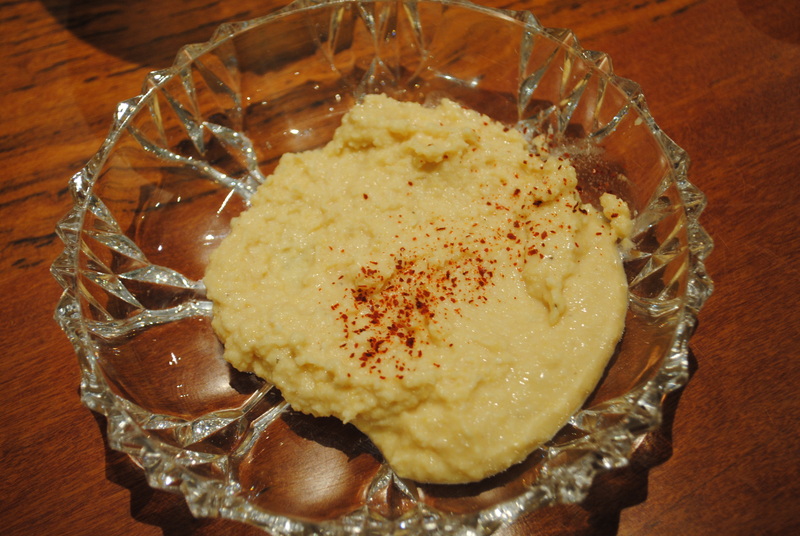 Below is a Humus Recipe that I learnt from Talya Goldgraber’s cooking course which I did go to and thoroughly enjoyed. It was yummy, very informative and I’ll be honest a bit freaky how unhealthy some of our foods are. So below I’m putting a health tip and the Humus recipe that I’m proud to say I made last night. (Proud because I haven’t been cooking much at all since we’ve moved into my mother in law’s house whilst we renovating. Yes another blog.) It’s an example of what perfect is – it takes attention and presence to get the taste and consistency right. You don’t just throw in the ingredients according to the instructions because there are no clear measurements. Now don’t run away try it. The kids will love it and it’s really healthy for the whole family. A ‘perfect’ dish I think. Skim the scum (or whatever you call the white fluff on top) off like you would with soup. Drain Chickpeas and take out Onion and all the seeds. Add Chickpeas, Lemon Juice, Tehina or Water and mix until right consistency. You may have to add more water to make it smoother. Play with it. TASTE – add lemon juice, garlic or salt if needed. Enjoy with cut veggies, crackers (Finncrisps and Ryvita are the healthy variety) and with whatever you fancy. Lasts up to a week in the fridge.